The Internet has become an integral part of our lives. So much so that even a minute without Internet makes us feel like we’re back to the primitive ages. It is therefore very frustrating when you have a working Internet connection but still can’t connect to the Internet. On Chrome, one of the most common cause for this is the “Windows 10 can’t connect to this network” error. So today, we’ll be talking about how to fix this problem. So let’s get to it. 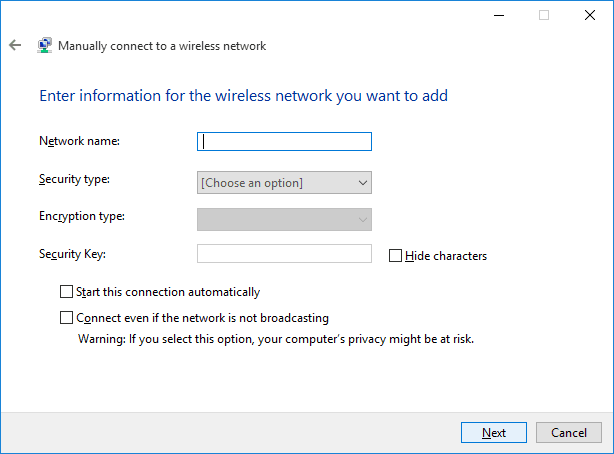 There are several possible methods to solve the Windows 10 Can’t Connect To This Network problem. We’ll be discussing some of them here. One possible cause for this error could be the network adapters you’re using. It is, therefore, a common measure to uninstall the network adapter and let Windows 10 install the adapter by itself. Launch the device manager by pressing the ‘Windows+X’ keys and selecting ‘Device Manager’ from the menu. 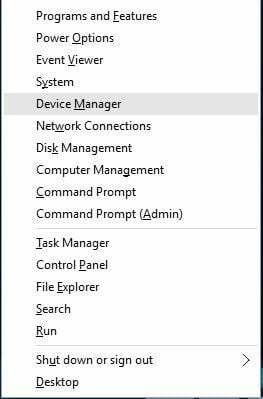 In the Device Manager menu, click on the Network Adapter menu. This will reveal the network adapters installed on your computer. 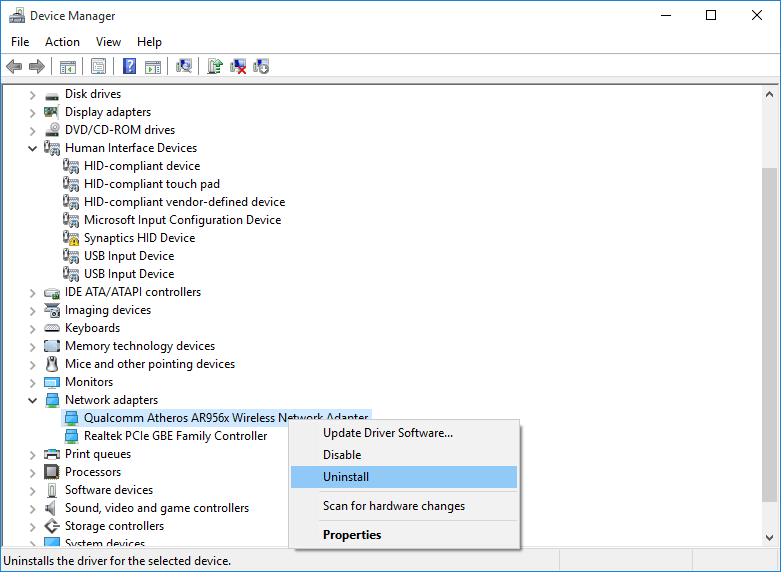 Right click on the drivers to uninstall them. Once the drivers are successfully uninstalled, proceed to reboot your computer. 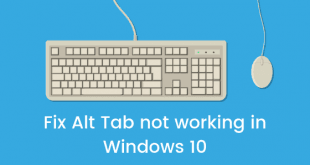 When the computer switches on again, Windows 10 will recognize the missing adapters and install them again. This should solve the problem. Another possible cause for this error is outdated network adapter drivers. In order to solve this issue, you’ll need a computer with working internet connection. Note down the model number of the device the “Windows 10 can’t connect to the network” message is being displayed on. Then head to the website of your network adapter manufacturer. 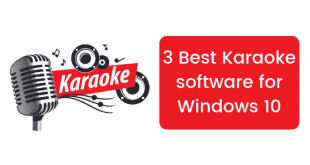 Download the right network adapter drivers and install these updated drivers on your computer. 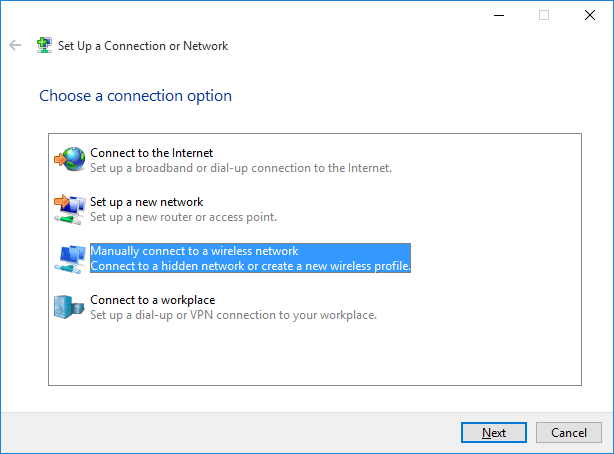 If both the above-mentioned methods do not work, you can try adding the connection manually to solve the Windows 10 Can’t Connect To This Network issue. Open the Network and Sharing center on your computer by right clicking on the active connection from the bottom right corner of the screen. In the window that opens, click on the ‘Set up a new connection or network’ option. Next, choose the ‘Manually connect to a wireless network’ option. You will then have to enter the network information such as the network name, security type and security key. After entering all the above-said information, click Next. Once the system connects to the network, Windows 10 Can’t Connect To This Network issue should be gone. 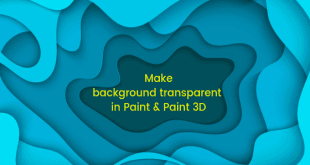 If you are still facing the issue, try the next method. Sometimes the most common or easy solution is what we need. So, if you haven’t tried restarting your modem or your router, give it a try and who knows this might solve your problem. We hope that one of the above solutions was helpful in solving your problem. If not, leave any queries in the comments section below and stay tuned for more.